Make a short piece of music that encourages the the mind's tendency to wander, based on research by Dr. Liila Taruffi, PhD, and her colleagues. Tracks added to the playlist for the project’s duration. Deadline: This project’s deadline is 11:59pm (that is, just before midnight) wherever you are on Monday, March 5, 2018. This project was posted in the early afternoon, California time, on Thursday, March 1, 2018. Make a short piece of music that encourages the the mind’s tendency to wander, based on research by Dr. Liila Taruffi, PhD, and her colleagues. Here’s some additional background from Dr. Taruffi: “Mind-wandering” or “daydreaming” (i.e., our mind’s tendency to engage in thoughts and images that are unrelated to the here and now, are spontaneously evoked, and naturally flow over time) is incredibly omnipresent, reaching up to 50% of our waking mental activity. Mind-wandering is an internally-oriented cognitive state somehow opposite to focused attention on a task or on a specific sensory input. In the study entitled “Effects of Sad and Happy Music on Mind-Wandering and Default Mode Network”, we (Liila Taruffi, Corinna Pehrs, Stavros Skouras & Stefan Koelsch) tested the idea that music, via emotion, can function as a mediator of these inwardly-oriented mental experiences. In three experiments (two in which participants described their mental state immediately after listening to sad-sounding and happy-sounding music, and a third in which other participants’ brains were scanned as they listened to sad and happy music pieces) we found that sad music, compared with happy music, is associated with stronger mind-wandering and greater activity of the nodes of the Default Mode Network (the main brain network responsible for mind-wandering). Thus, our results demonstrate that, when listening to sad music, people withdraw their attention inwards and engage in spontaneous cognitive processes. 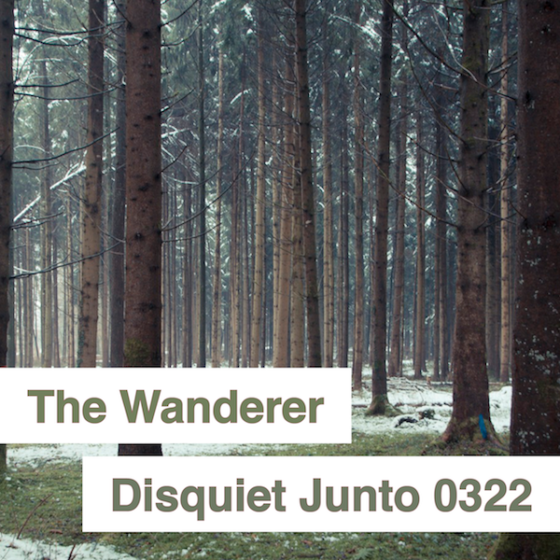 Step 1: Include “disquiet0322” (no spaces or quotation marks) in the name of your track. Step 2: If your audio-hosting platform allows for tags, be sure to also include the project tag “disquiet0322” (no spaces or quotation marks). If you’re posting on SoundCloud in particular, this is essential to subsequent location of tracks for the creation a project playlist. Length: The length is up to you. The instructions suggest roughly three to five minutes. Title/Tag: When posting your track, please include “disquiet0322” in the title of the track, and where applicable (on SoundCloud, for example) as a tag.